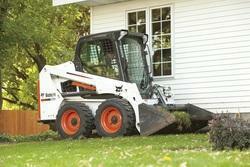 Cat Skid Steer Loaders are designed and built for maximum performance and safety. We are constantly developing and refining advanced power and hydraulic technologies to ensure that our Skid Steer Loaders provide customers with the power, versatility, efficiency, ease of operation and reliability they have come to expect from Cat Equipment. 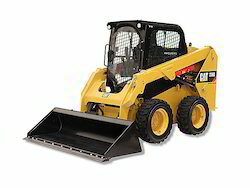 An overall height that is a shade less than 2m and an ability to rotate within its own envelope make the Steer Skid Loader 216B3 a great choice at constricted work environments.